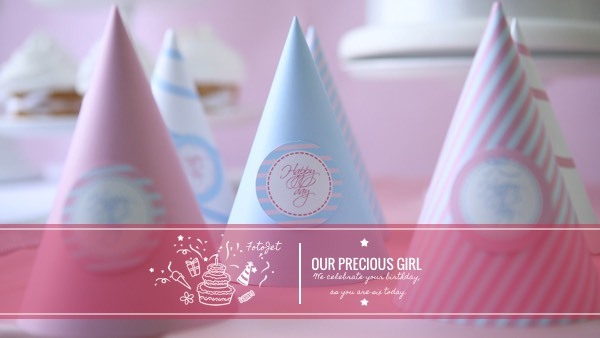 Have you just held a birthday celebration for your little girl? If you answer is yes, you may have taken a lot of photos to remember such a meaningful day. How about making a special YouTube banner with these photos. This YouTube channel art template provides a good sample for you. The embedded birthday hat picture suits the theme well. If it is necessary, you can replace the default image with yours. All you needs for adjusting this template can be satisfied to make beautiful girly YouTube channel art.